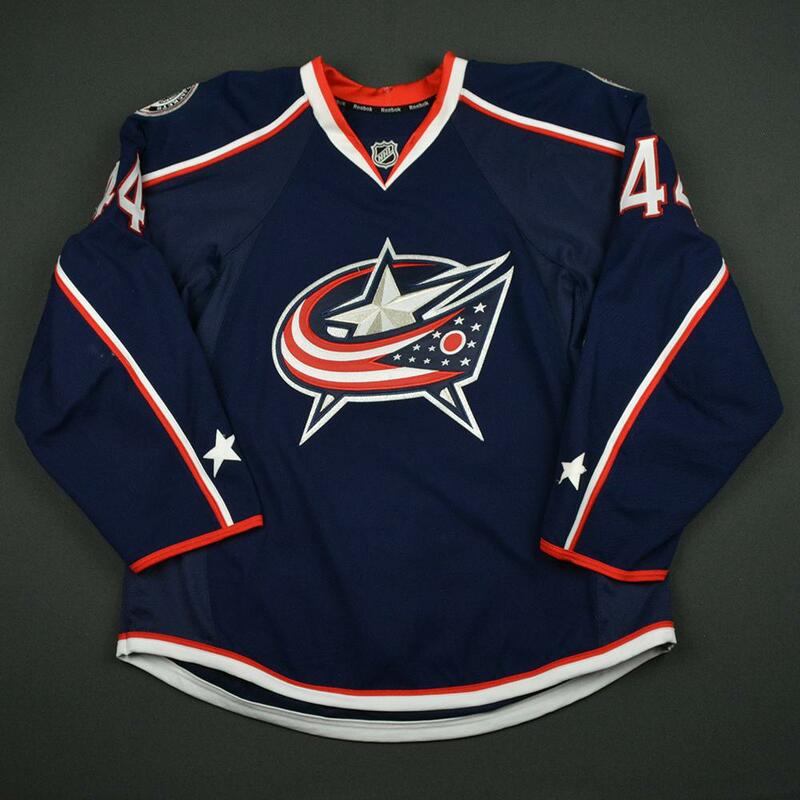 This blue jersey was worn by Marc-Andre Bergeron of the Columbus Blue Jackets during the 2016-17 NHL preseason. Bergeron played 22 games for the AHL's Cleveland Monsters in 2016-17, scoring two goals and adding five assists. 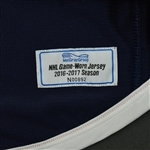 The Blue Jackets had their best regular season in franchise history in 2016-17, racking up 108 points with a record of 50-24-8. They also posted the second-longest winning streak in NHL history at 16 games, coming up one game short of the 1992-93 Pittsburgh Penguins' 17-game streak.